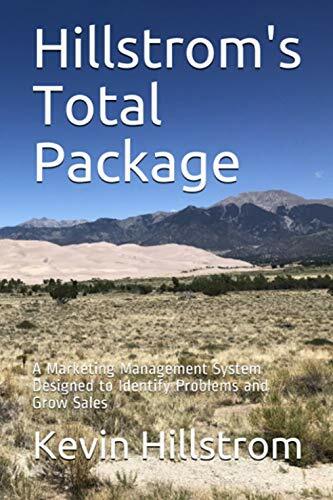 There are three key areas every web analyst, business intelligence guru, e-mail analyst, catalog circulation director, and business executive should be monitoring these days. Annual Repurchase Rates By Segment. Customer Acquisition Counts & Spend. These three dimensions typically explain why a business is growing or shrinking. We want to compare the metrics over the past decade. Often, we see a chart similar to the spending chart in this post. 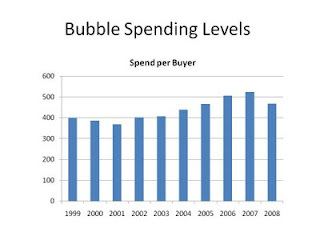 Spend per customer ramped-up during the bubble years, then crashed in late 2007 or in 2008. If spending crashed, then we want to go back to the pre-bubble years, and understand what spend per customer looked like back then. We want to plug those spend levels into our forecast models, to understand what impact pre-bubble spending has on the future of our business. It's pretty darn important to have a five year sales forecast, built off of actual customer file dynamics. We need to give our leadership teams better visibility into the different ways our businesses are likely to evolve, given new customer spending habits.